When I meet someone for the first time there's a usual progression in the form of communications we use. First we connect with email, then setup a phone call and if the topic is more complicated we'll setup a face to face meeting. If there's several people involved in different offices we'll setup a conference call or webinar. In this article I'm going to discuss audio conference calls and leave webinars for a later post. Getting everyone on the phone is a quick way to explain ideas and have a good team discussion. Meeting face to face is nice but with a few people involved travel can be expensive. There's a lot of different options available to have conference calls. Since I'm not a big budget guy and like saving money, I'm going to review a few cheap and free conference call services. A Skype group call is a good example of free conference call service. There's also other free services and paid services. So what's the difference? When everyone is not in the same office, conference calls are a good way to get everyone together to discuss ideas, projects and plans. This is also helpful if you have remote workers on your team or when working with another company or companies. Like any meeting it's best to have one person in charge of the call. This ensures the meeting is focused and doesn't become a waste of time. For more tips on holding conference calls, please read this great article from Fast Company on “10 rules for effective conference calls. In researching this article I found that there were a lot more free and paid services than I imagined. So I won't cover all of them here, but list the ones I used that I liked. I work with a company that uses FreeConferenceCall.com for all their conference calls. There's about 20 people in the company and about five sales and technical support people that use it at least a few times a week. I mostly use this service to dial-in to their calls. It was easy to use with no problems. Join.Me is the service I presently use for holding online meetings, screen sharing and conference calls. 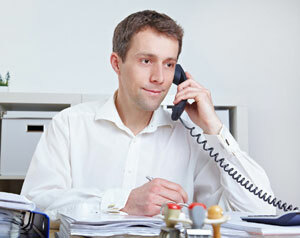 The conference call service is included the monthly fee for online meetings. At first I thought I could only use the conference call number when holding screen sharing meetings, but I've since found out I can use it as a separate service. This is a nice feature. That is sort of free since it's included as part of my monthly fee. Skype is my goto service when having a conference call with other people using Skype. I use this a lot with my colleagues since we standardized on Skype as our instant messaging platform. Skype is also handy when you have a mixture of Skype users and standard audio conference callers. First connect the Skype callers and then dial-in the one person on a regular phone or into a conference call bridge. I use this a lot when I'm have a call with people in Europe and in North America. I use Skype to connect the people in Europe for free and then use a 1-800 number to connect people in North America for free. It's an extra step but everyone appreciates saving money. For more information on using Skype, please read my article: Free Conference Calling With Skype. I always like free, but it's good to compare what you get for a free plan and inexpensive plans. I originally had an expensive corporate plan and then I switched to a free plan. The free was okay for awhile, but then I upgraded to a monthly plan because there were a few features I wanted on the monthly plan. The biggest one was screen sharing, which was also good for online presentations. Unless you know the exact features you need, I recommend you start with a free plan and then upgrade to a monthly plan if you need it. Or sign-up for a free trial if available. Services are always changing and it's a good idea to review the plan you are thinking of using and make sure it has the features you need. As I mentioned earlier, if you are just starting to use a conference call service you should start with a free plan or sign-up for a free trial. This will be the best way to make sure it's the right plan for you and you're getting your moneys worth. Also, don't be afraid of changing your plan. I had weekly calls setup for a few years using an expensive corporate plan and when I switched to the free plan no one mentioned the change in number. I updated the weekly reminder with the new number and also mentioned it in the last call before I started using the new number.